The legendary dance party called Soul Train was a fun filled weekly event that elevated urban music to another level. Though the nationally syndicated show has not aired for several years, it lives on through various documentaries, the currently running Soul Train Music Awards, website/blog, and so much more. Host and creator, Don Cornelius was the mastermind of a television festival that gave a platform to a spirited Soul Train line with improvisational dance moves, inspired an in-house record company and introduced many rising stars. During its heyday in the late seventies to mid-eighties, Shalamar, comprising of two regular Soul Train dancers named Jeffrey Daniel and Jody Watley and lead singer Howard Hewitt, recorded on Solar Records, a label stemmed from the Cornelius-founded Soul Train Records. The legendary dance party called Soul Train was a fun filled weekly event that elevated urban music to another level. Though the nationally syndicated show has not aired for several years, it lives on through various documentaries, the currently running Soul Train Music Awards, website/blog, and so much more. Host and creator, Don Cornelius was the mastermind of a television festival that gave a platform to a spirited Soul Train line with improvisational dance moves, inspired an in-house record company and introduced many rising stars. During its heyday in the late seventies to mid-eighties, Shalamar, comprising of two regular Soul Train dancers named Jeffrey Daniel and Jody Watley and lead singer Howard Hewitt, recorded on Solar Records, a label stemmed from the Cornelius-founded Soul Train Records. While the label boasted a notable roster of suave vocal bands like The Whispers and a group of greasy funksters called Lakeside, Shalamar’s club-friendly hits “The Second Time Around” and “A Night to Remember” delivered the Soul Trainesque goods. After Shalamar’s hit-making streak started to fade, Watley was fully prepared to launch her solo chapter while carrying the Soul Train torch and did. Besides her trademark dance funk excursions on Paradise, Watley’s also relevant to current club trends. “Tonight’s The Night,” remixed by Mark deClive Lowe, cuts to the quick with spot-on break beats and gorgeous keyboard splashes. The title track, another MdCL production, is a soft bass-synth driven Caribbean treat. But, the standout on Paradisegoes to “Sanctuary (Soulpersona Raregrooves Remix),” sweetly integrating funk into fresh electronic and retro orchestrations. 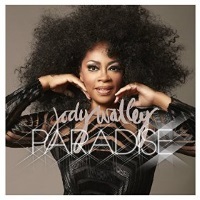 Whether Paradise will be a sales success for Watley is neither here nor there. But, for those who fully appreciated Watley’s consistent contributions to dance music, Paradise is a satisfactory balance of everything Watley has encompassed since she first hit the Soul Train line back in the day. Recommended.